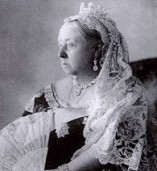 Victoria ascended the throne in 1837. She married Prince Albert of Saxe-Coburg-Gotha, the dominant influence on her life, in 1840. Following his death in 1861 the Queen became an increasingly secluded and remote figure, not held in any special regard by the British people. As her reign lengthened, however, her image changed to that of a venerable and respected figure worldwide (she became Empress of India in 1876), the figurehead of an age that began with the revolutionising effects of the railway and ended with an equally radical and transforming invention, moving pictures. Her first encounter with the latter was on 3 October 1896 at Balmoral and was recorded in her journal: 'At twelve went down to below the terrace, near the ballroom, and we were all photographed by Downey by the new cinematograph process, which makes moving pictures by winding off a reel of films. We were walking up and down, and the children jumping about'. The subjects of this film, which survives, included the Queen herself, seen in the pony cart that she often used, Tsar Nikolas II and the Tsarina, the Duke and Duchess of Connaught and several royal children (though not the two-year-old future Edward VIII). The photographer was the son of W. Downey of the photographic firm W. & D. Downey, which had a long association with the royal family, using a camera employing 60 mm film with four round perforations on either side constructed by T.J. Harrison of the Downey firm. On 23 November 1896 the film was premiered at Windsor Castle before the Queen in a mixed film programme for which Downey father and son employed both a Robert Paul Theatrograph and Harrison's own projector. The Queen wrote: 'After tea went to the Red drawing room, where so-called "animated pictures" were shown off, including the groups taken in September [sic] at Balmoral. It is a very wonderful process, representing people, their movements and actions, as if they were alive'. 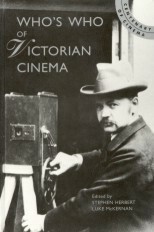 However, Victoria's most substantial contribution to Victorian cinema was as the star of the Diamond Jubilee celebrations commemorating sixty years of her reign. The procession through London to St Paul's Cathedral on 22 June 1897 saw almost every British cinematograph firm and several from abroad represented along the route. The list included Birt Acres, R.J. Appleton, Alexandre Promio (representing Lumière), Henri Lavanchy-Clarke (also with a Lumière Cinématographe), Haydon and Urry, John Le Couteur (with the 60 mm Gaumont/Demenÿ camera), the Mutoscope and Biograph Syndicate, Robert Paul, Prestwich, Dr J.H. Smith, Adolphe Langfier for the Velograph Syndicate and Alfred Wrench, amongst others. Several of these records survive of what was a major testing ground for the new industry. The films were soon on screens throughout the land, greeted everywhere with loyal enthusiasm, and the Queen herself saw some of them when shown by William Walker at Balmoral on 25 October 1897. The Queen was filmed on a number of subsequent occasions, such as her reviewing troops prior to their departure for the Boer War and a visit to Dublin in 1900 (filmed by Biograph and Hepworth), but after the Diamond Jubilee her next most notable role as a star attraction was her funeral on 1 February 1901, extensively covered by the film industry once again, but by this time a number of the pioneering firms of 1897 had already bowed out of the industry. With Queen Victoria's passing, films were now to make the stratospheric leap from being 'animated photographs' to the motion picture industry that came to dominate the succeeding century.